A brutal yet transparent overdrive with hellish amounts of gain. Please be aware these pedals are handbuilt. There is a 'order to delivery time' of roughly 3 weeks. 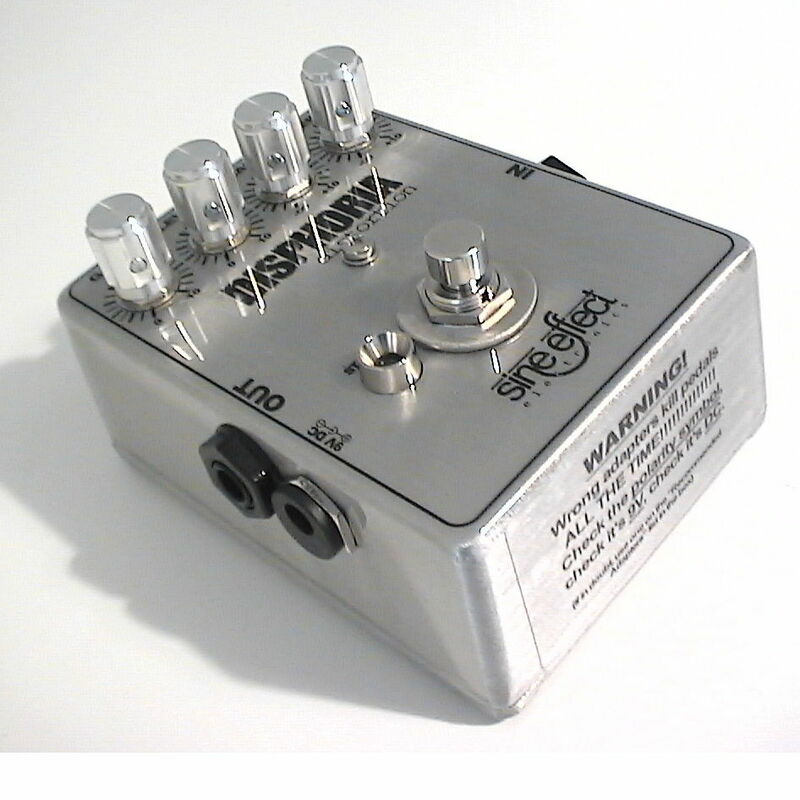 "Finally got to try out my Disphoria distortion at a jam last night and it sounds great! Instant massive rock tone with enough flexibility to really roll back and clean it up. Definitely a solid fixture in my rig now. Vastly different to my MXR Wylde Distortion, but in a way that justifies itself as a stand alone unit."